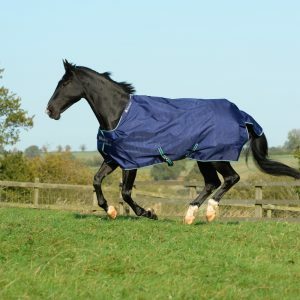 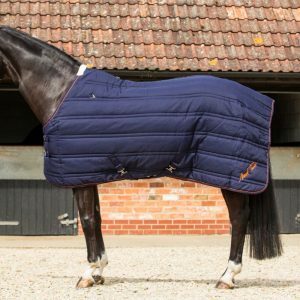 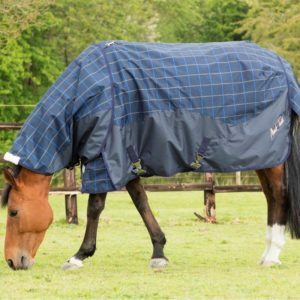 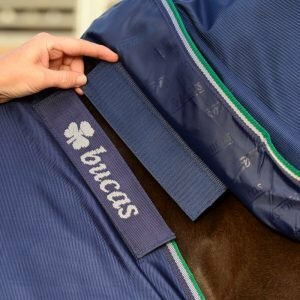 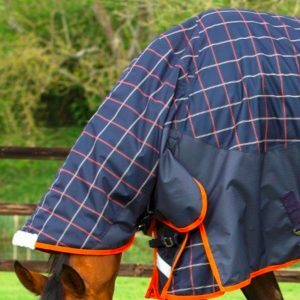 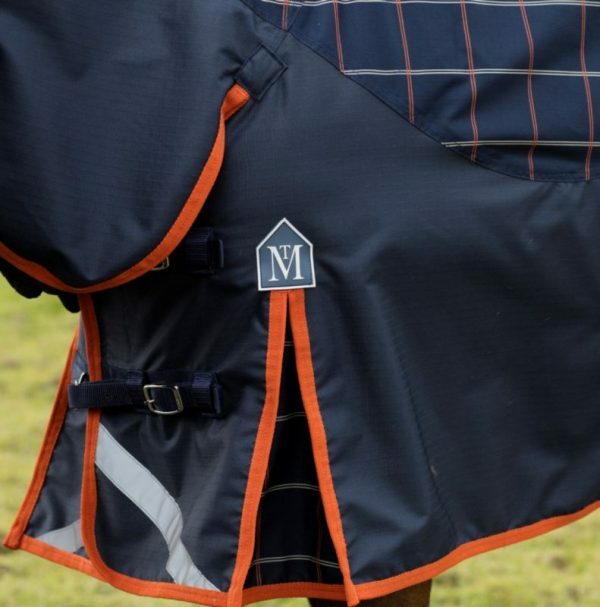 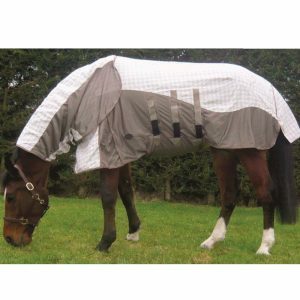 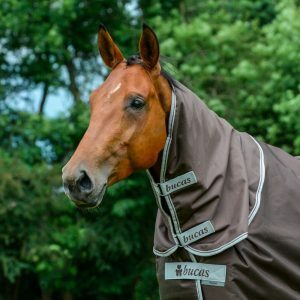 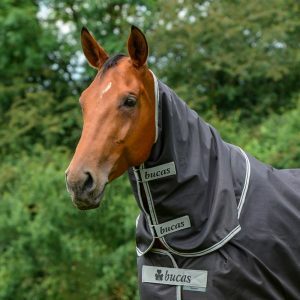 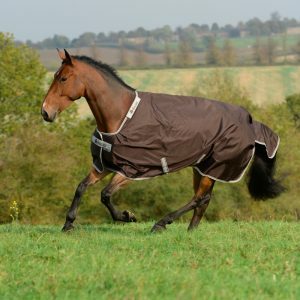 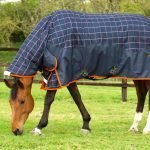 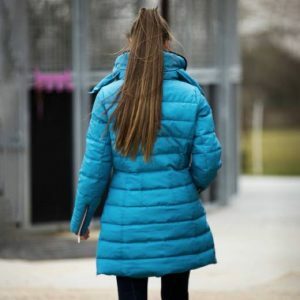 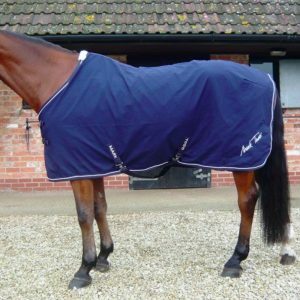 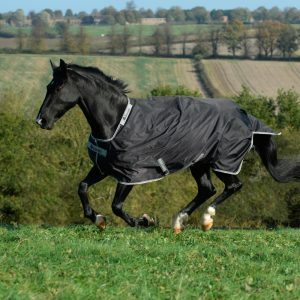 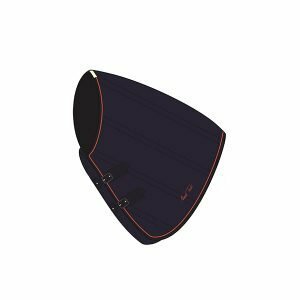 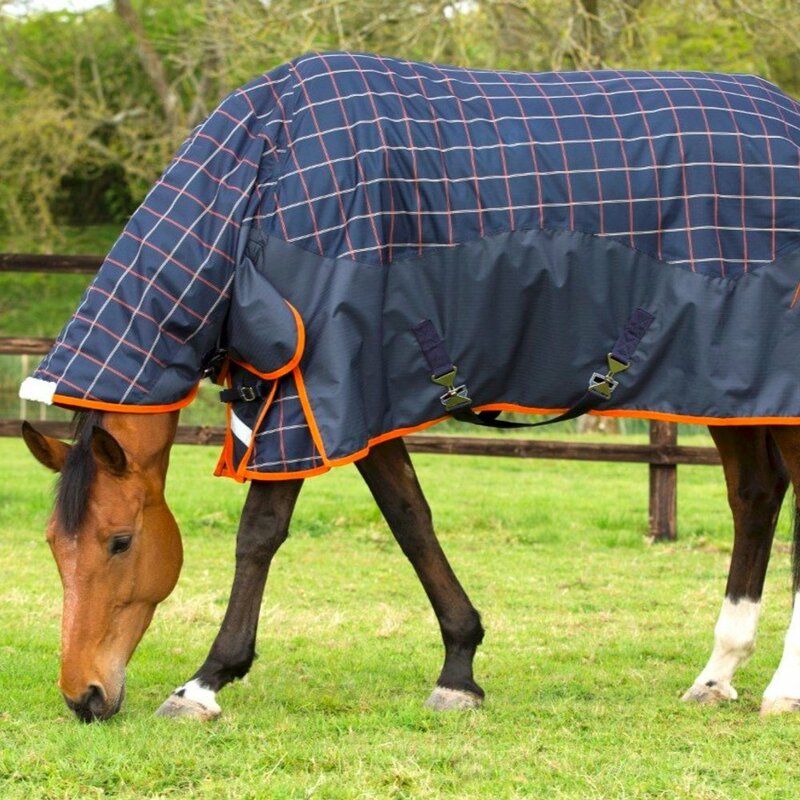 The Mark Todd Mediumweight Turnout Rug: Navy/Orange/Biege Plaid is a practical and stylish rug has a 600 denier ripstop, waterproof, breathable, polyester outer and inner nylon lining with 250g filling. 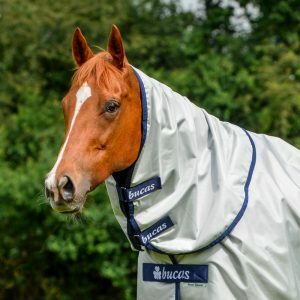 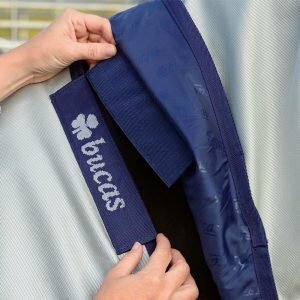 It features adjustable double front buckles with quick release clips, hook and loop style fastenings on the neck and chest, adjustable low cross surcingles with rubber slots, reinforced nylon anti-rub shoulders with gussets, adjustable and removable leg straps, gusseted tail flap with reflective strip and fleece wither protection for added comfort. 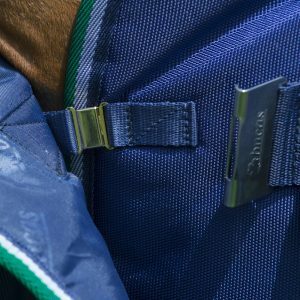 With three D-rings for the optional neck cover.